Michael submitted this photo and caption. This is a photo of my friend (Marie) and me (Michael) at the TMEA convention that was held a couple of weeks ago in San Antonio. We both were walking around and playing on other types of horns, when we stumbled upon the Madison Scouts and Santa Clara Vanguard uniforms. We saw their marching hats and had to put them on and take a picture (of course with permission from Stanbury). 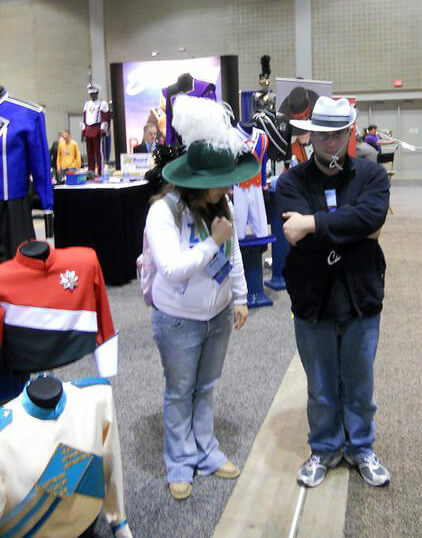 We had a wonderful time wearing the hats and talking drum corps with the workers at the booth.